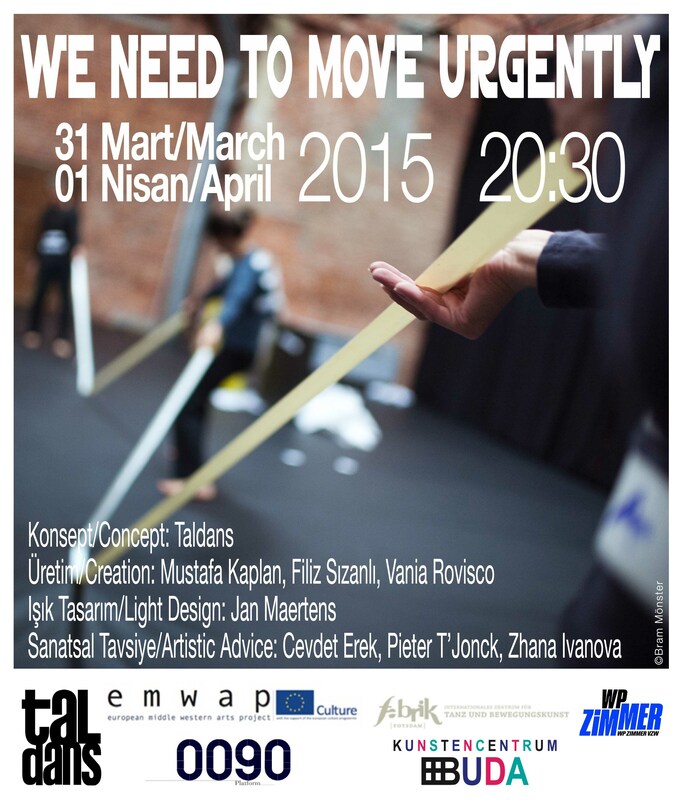 We are very excited about the premiere of our new performance WE NEED TO MOVE URGENTLY in Made in Potsdam Festival. Please find more details about the festival programme here. Looking forward to meet you all in Postdam & Happy New Year! Still working on the creation 2014! The next residencies will take place in Buda Kunstcentrum in Kortrijk and Wp Zimmer in Antwerp. Taldans will be in residence at Fabrik Potsdam in Germany from September 2nd to 22nd. 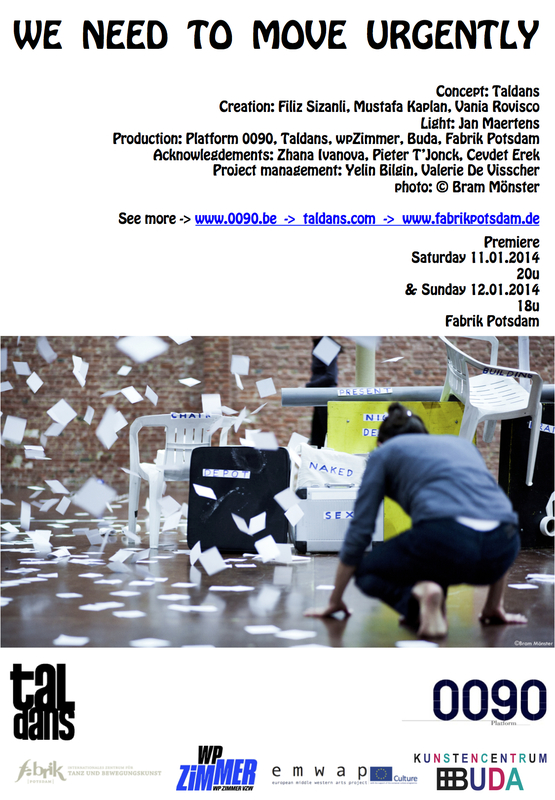 Fabrik Potsdam will also host the premiere of our new creation in January 2014.